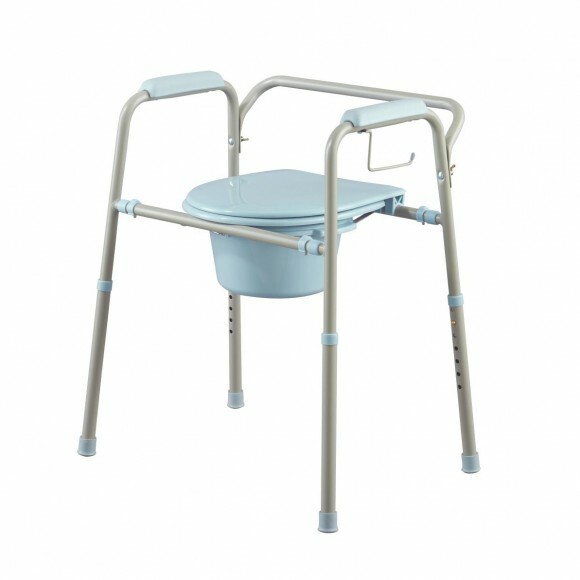 A commode, when describing a piece of medical equipment, is a movable toilet that is usually placed in the bedroom of a convalescent patient. 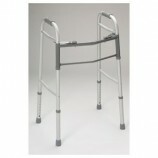 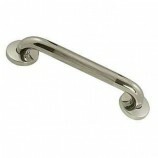 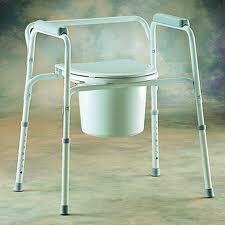 A commode is commonly used for patients who are weak or unsteady or have poor bowel and bladder control. 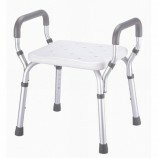 The patient may also have a strong sense of urgency and requires a toilet facility close to the bed. 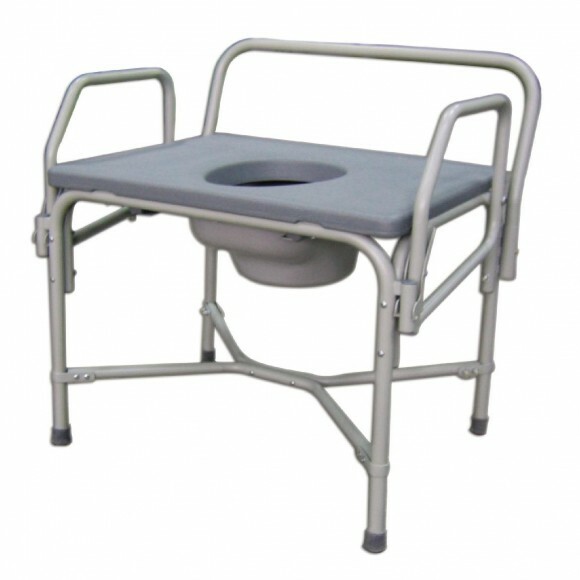 A commode does not have a flushing mechanism, but instead has a toilet seat and a collection container (plastic pail) underneath the seat. 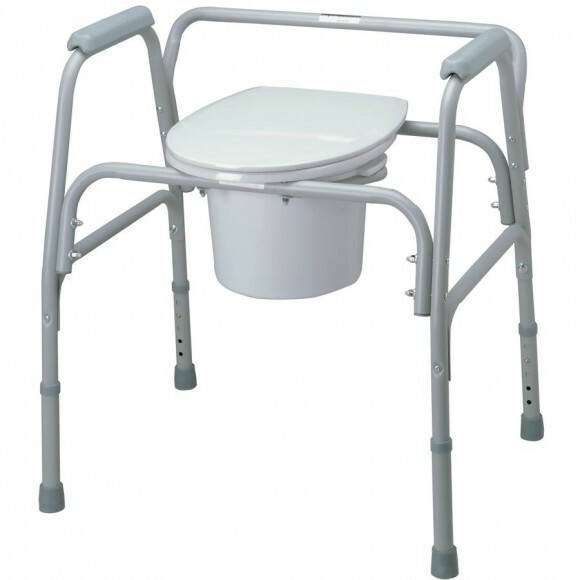 The image on the left hand side illustrates what a typical commode looks like. 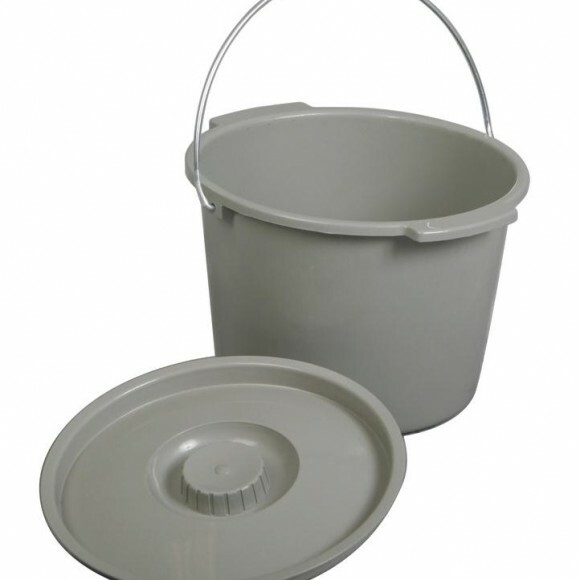 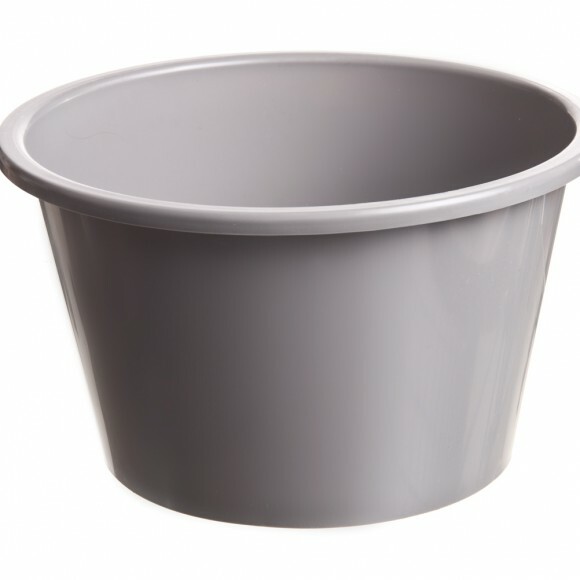 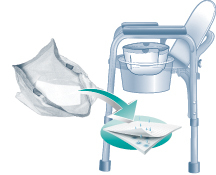 The pail can be easily removed for emptying and cleaning after the commode is used. 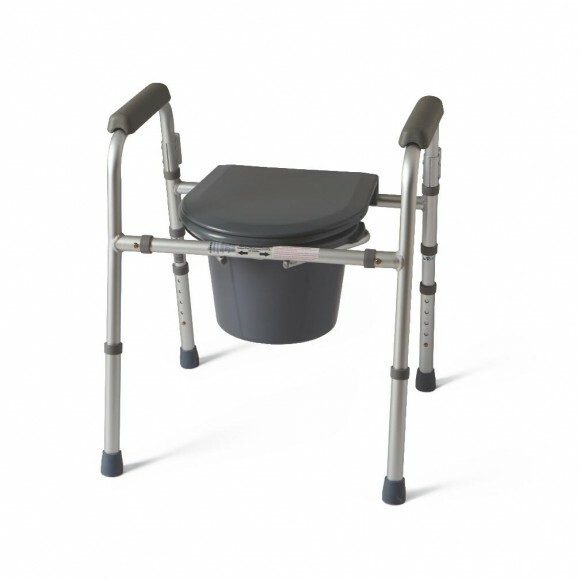 A commode can be stationary or be designed with wheels on the legs so that it can be moved to different locations in the home. 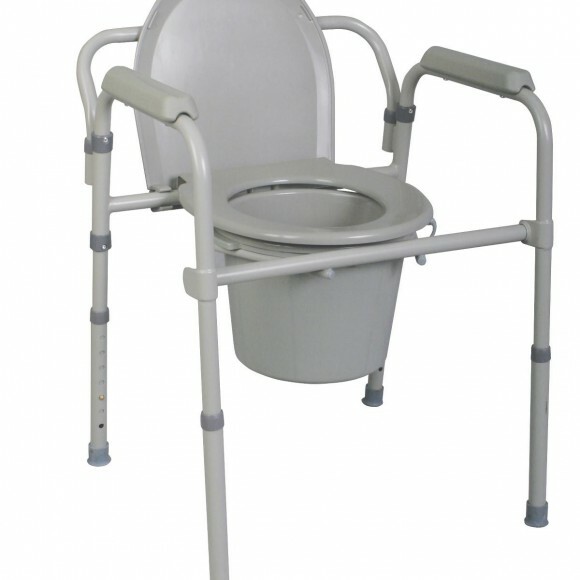 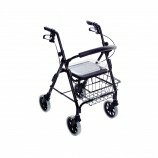 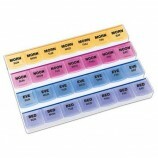 At Careway Wellness Center, you will find different style commodes, which are usually not carried by drug stores. 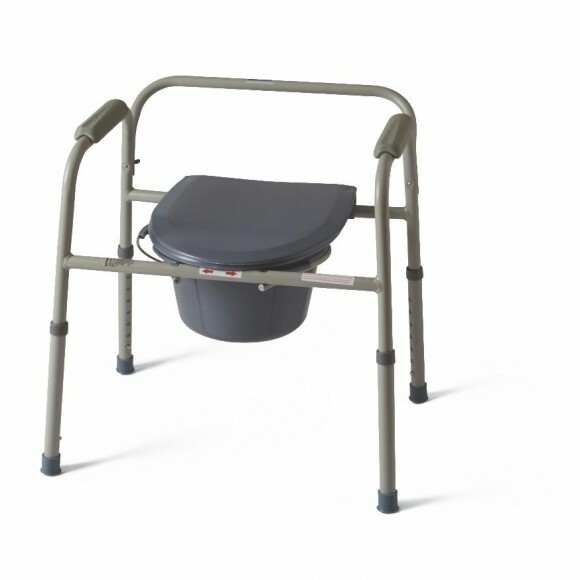 If you are in need of a commode and live in the vicinity of our retail store, in Woburn, Massachusetts, please, by all means, visit us and ask one of our sales associates to explain all of the features of a commode. 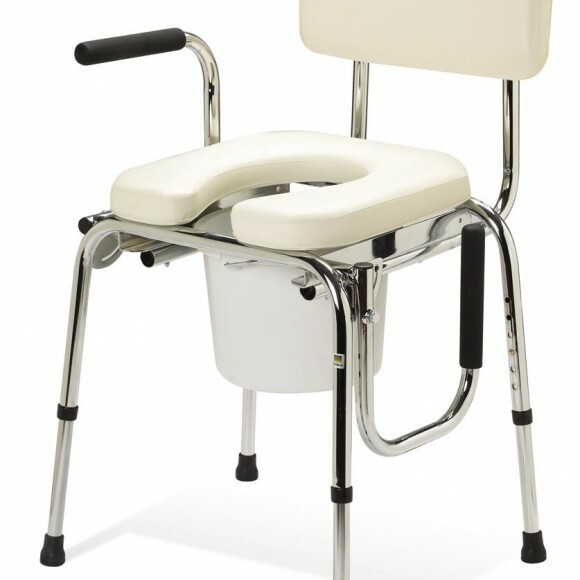 If you live outside of our area, and have questions you need answered about a commode, call us at 1-781-933-2345 and we will be happy to answer your questions.